Microsoft makes TouchDevelop app available Android phones and Tablets. The TouchDeveop app allows you create apps on your Android phone or tablet, share them with other people! You can create fun games and automate recurring tasks. You compose programs by tapping on the screen. 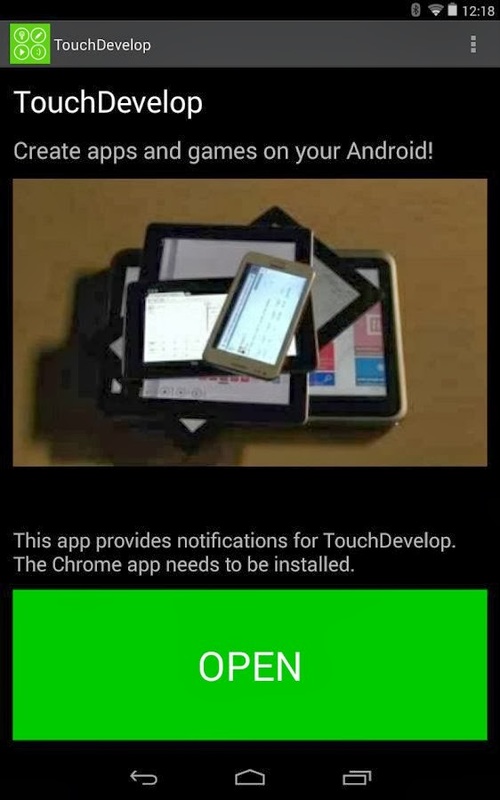 The TouchDevelop app is available for free on the Google Play Store, compatible with Android OS v4.0.3 and up devices only. The TouchDevelop app for Android allows you to receive notifications directly on your Android phone or tablet related to your user account. You'll get notified when someone gives you heart, writes a comment, takes a screenshot, or creates a variation of your code.